This Friday, April 21, is the first anniversary of the death of Prince. To commemorate the occasion, Rogue Music Alliance is releasing a six-song EP of some of the artist’s unreleased songs, the first major release of unseen Prince material since his death. Deliverance collects music the artist generated between 2006 and 2008 (a.k.a. the Planet Earth era), and was co-written and produced by engineer Ian Boxill, who arranged the songs after the artist’s death. The EP’s first song, “Deliverance,” is available on iTunes and Apple Music, and can be previewed over here. The release comes just as more legal wrinkles crop up around the financial fate of Prince’s musical legacy. 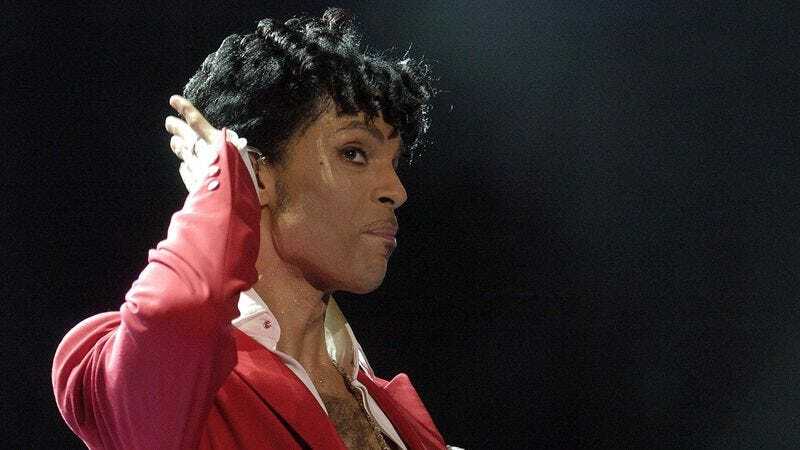 Universal Music Group acquired the rights to those parts of Prince’s back catalog owned by Warner Bros. last year, but Variety reports that representatives for the estate may have misrepresented how much music that actually entails. (Prince renogotiated with Warner to get most of the rights to his music back a few years before his death, meaning that at least some of the albums UMG thought it was paying for weren’t included in the deal.) There are rumors that UMG is looking to extricate himself from the deal. Given what a tight hand Prince kept on the online distribution and presence of so much of his work, it remains to be seen whether infusions of new content like Deliverance can hook younger listeners on his sound. Between the UMG deal, and his own intentional efforts to make it difficult for the online generation to access his work, there’s a question of how the legend’s legacy will persist in the rapidly evolving musical world.